Did You Know…Daily Sitting Causes Kyphosis Lordosis? Most people sit all day without considering what this does to the body. Then, they wonder why they’re in so much pain! According to Why Sitting Too Much Is Dangerous “After just 20 minutes hunched over in a chair, blood pools in the legs and immense pressure builds on the spine. 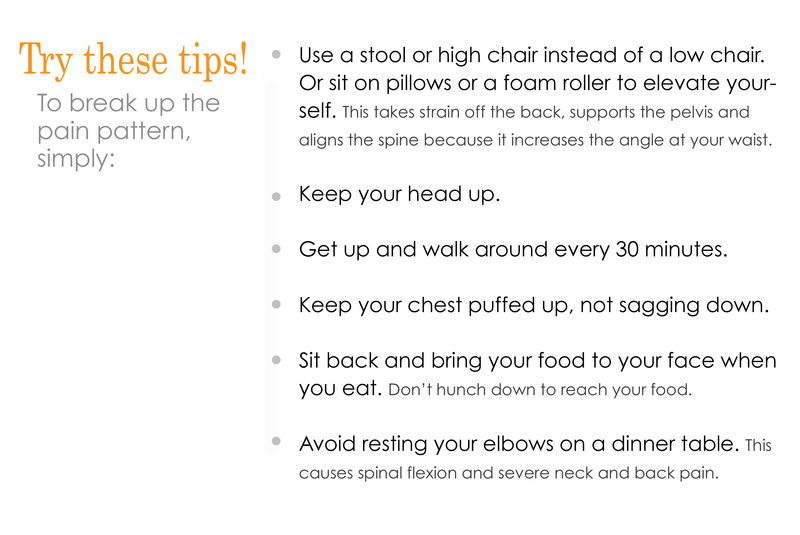 When you’re sitting, the spine is under a lot of pressure. Our bodies were made to stand, so maintaining the seated position is physically stressful.” This prolonged sitting causes discomfort, numbness and pain. Around 80% of Americans will experience chronic pain in their lifetime as a result, she says. Desk work is putting a huge mental and physical stress on our bodies. When viewed from the back, the spine should run straight down the middle of the back. When abnormalities of the spine occur, the natural curvatures of the spine are misaligned or exaggerated in certain areas, as occurs either with kyphosis or lordosis and sometimes both. 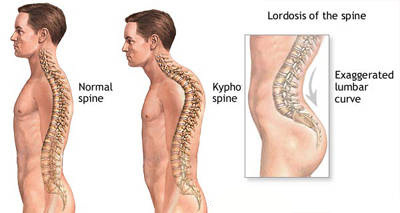 Kyphosis Lordosis is severe muscular and spinal imbalances caused by sitting, standing and sleeping improperly. It is characterized by a convex curvature of the thoracic spine and an inwardly curved lower back resulting from the pelvis being tilted forward. Are You Practicing or Supporting Harmful Habits? If you sit for many hours, it is your responsibility to understand why certain positions cause tight muscles, chronic pain, suffering and severe muscular imbalances. After you understand why you have pain, only then can you start using our tips to help relieve your pain. Doctors and other highly qualified specialists cannot help you with your poor daily habits. You need to take action and protect yourself against pain by changing your daily habits, now, right now! 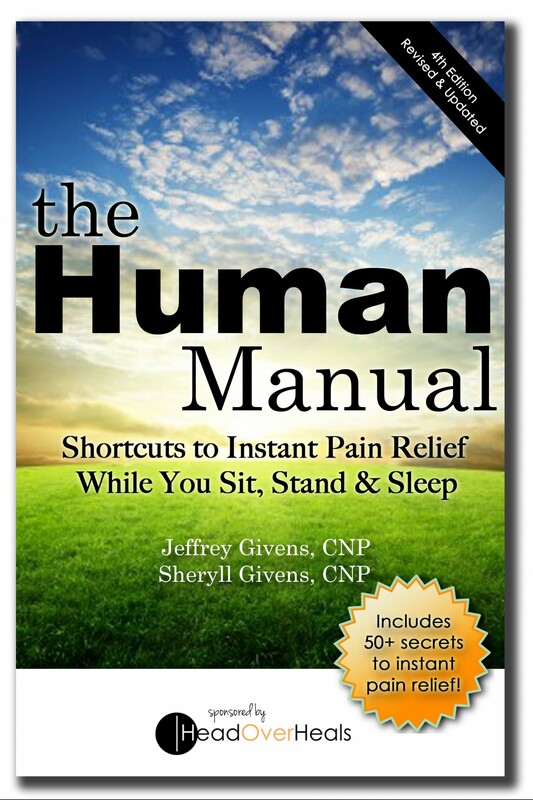 Check out the Human Manual for more tips that will help you start living pain-free today!